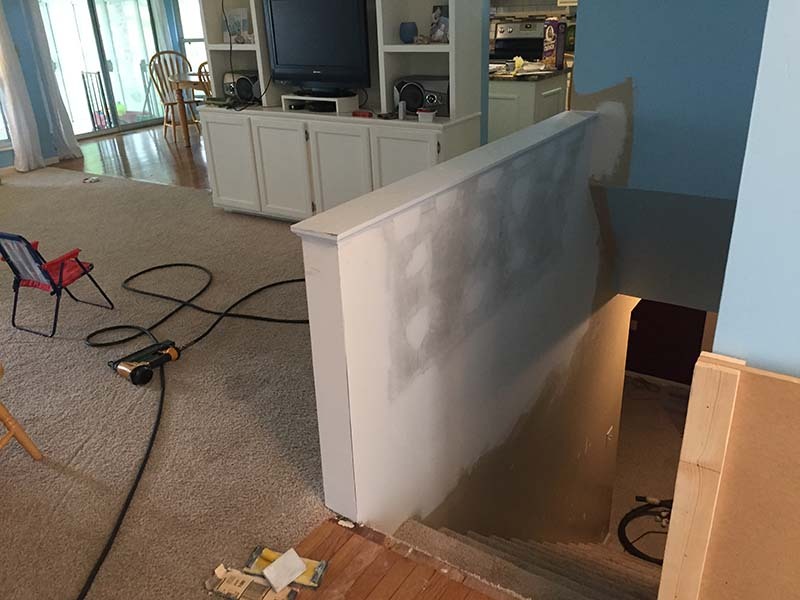 A client in the Oakville, Mo area wanted a railing removed and a half wall built for her home so they called on us to do the work. First in the remodeling process we removed the rail,base moulding, and cut the carpet back. 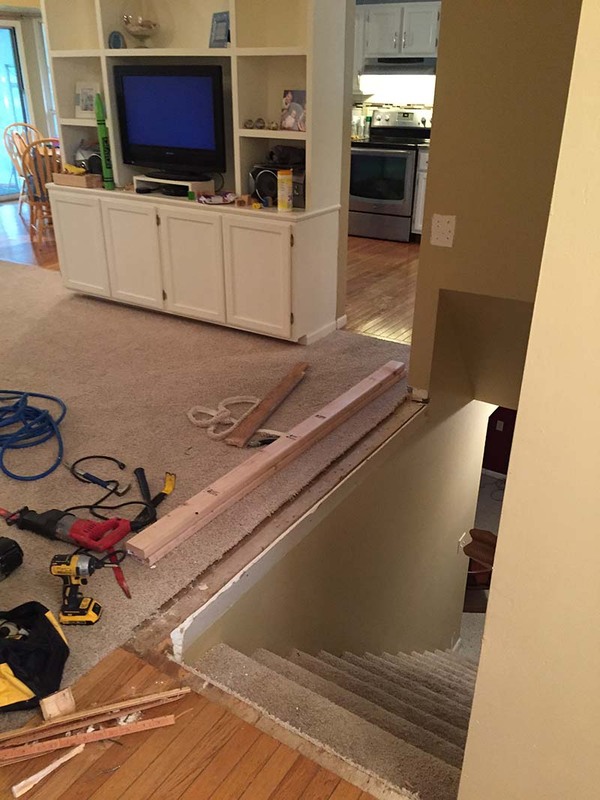 We then removed part of the flooring because it was to short after removing the rail. Then we framed a wall and installed drywall on it. Joint compound was applied over cornerbead and taped joints. Several coats of joint compound were applied then the final coat sanded. After the sanding a primer and paint was applied. 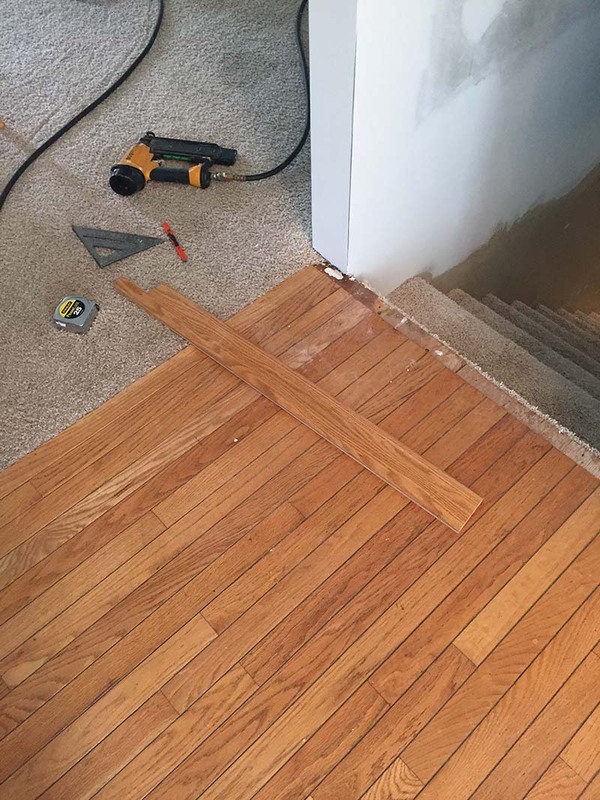 Then the new flooring was stained and installed. Next the Base moulding was installed,caulked,puttied, and painted. Finally a trim piece was routered, painted, and installed to finish up this Oakville, Mo remodeling project. Vacuuming and clean up was performed everyday after working, and drop clothes were used also during the remodeling process. 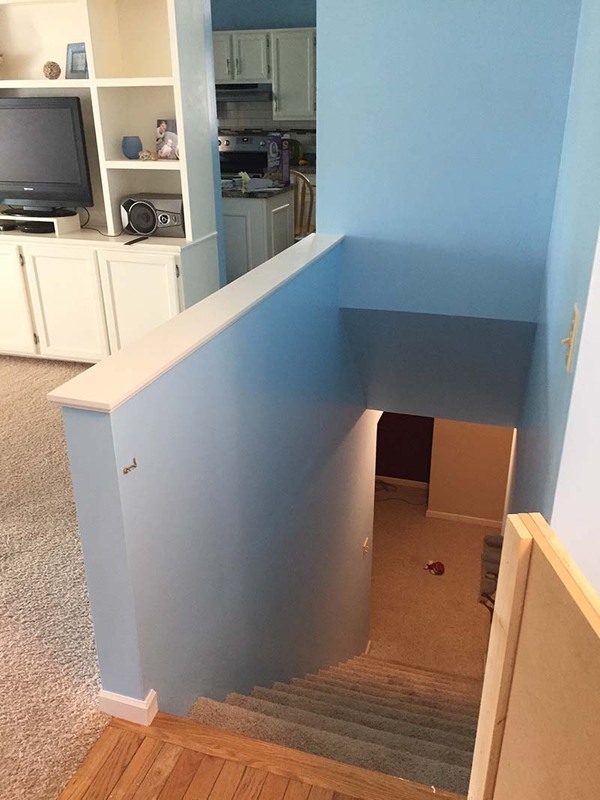 oakville construction company, remodeling stl, st. louis professional carpenter, stl professional contractor, stl remodeling stl restoration professional, stl renovation. Bookmark. In my view, if all web owners and bloggers made just right content as you probably did, the web will be a lot more useful than ever before.